eCommerce is no longer just thought of as an alternative to buying in-store; predictions show e-commerce sales to increase to over $4 trillion by 2021. So, finding funding for an eCommerce business is, well, serious business. 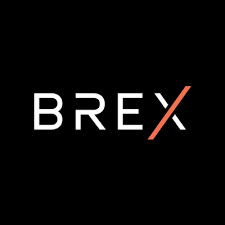 In February, Brex began offering an alternative funding method for e-commerce companies, called the Brex Card for eCommerce. The Brex card offers a 60-day interest-free payment window and is aimed primarily towards companies that sell goods online and have short-term financing needs. The Brex eCommerce card was explicitly designed for online companies with at least $50,000 in monthly sales that need longer payment cycles than the 30-day window offered by other products. It is also an appealing option for an online business who doesn’t want to incur the interest charges from a traditional small-business loan but regularly needs a short-term cash infusion to maintain a steady supply of inventory for their Shopify or Amazon storefront. While the Brex eCommerce card offers no reward points - Brex cardholders will get preferred pricing on certain services including Amazon Web Services, WeWork, Google Ads, Salesforce, Twilio, Caviar, Instacart, Zendesk, Snapchat, Expensify, and Carta.